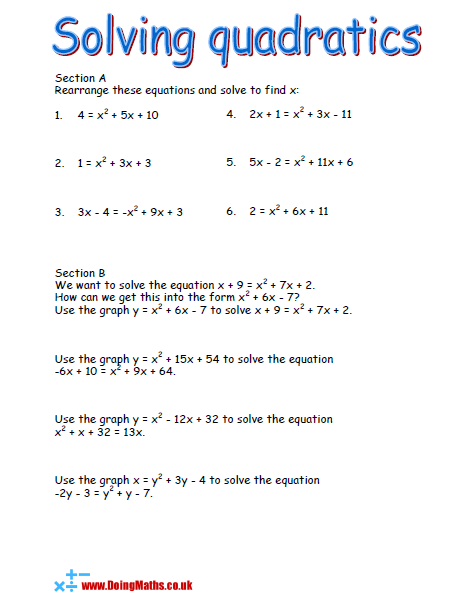 Find free worksheets about solving quadratic equations, both algebraically and graphically. A worksheet extension to 'solving quadratics' for use with Omnigraph, although it can be used without. 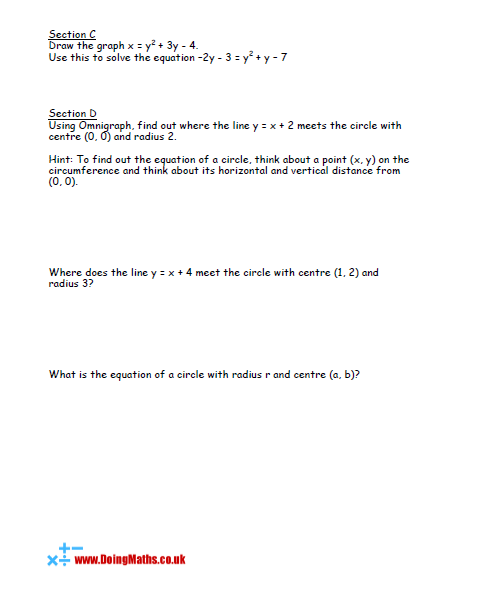 A worksheet to help practise sketching quadratic curves. This Follow-me puzzle contains 16 quadratic equations to solve. Solving one quadratic equation gives the next equation to solve in this dominoes style activity. Great for a starter or informal test of your students' progress. This Follow-me puzzle contains 16 quadratic equations to factorise. Factorising one quadratic equation gives the next equation to factorise in this dominoes style activity. Great for a starter or informal test of your students' progress.